2016’s Deadpool was a hit, but practically all agree that it’s not without at least a few flaws. Its relentless jokes came so often that the bonafide knee-slappers helped us forget the downright duds. Was its box office success and above-par critical achievement warranted or just a high of being something original in a time when that rarely happens? Well after giving it a few years and then a repeat viewing, I’m confident in declaring that it may be even better than we initially thought. If a joke doesn’t land, the ones that follow are so clever that they induce a witty grin with the laughter; the love story and emotional beats work as best they can, and the action is exciting and alluring. Now besides rating it, the second question I have to ask (for some reason, I feel like I have to rank everything as evidenced by my Top Ten’s) is whether or not it’s better than its predecessor. No, Deadpool 2 is not better than Deadpool. Is it worse? Not in the slightest. They are so evenly matched in my head it’s astounding. By no means are they the same movie. The jokes are vastly different, the pulses dissimilar, and the action and direction immeasurably altered. I spent so much of the movie trying to decide whether it held a candle up to the first that at times I forgot to sit and enjoy it, but once I did, I had the exact same sentiment as I did the night prior when re-watching the original. Is Deadpool 2 a Top Ten worthy film that I’ll shower with praise to all who’ll listen? No, but just like the original, I’d be dishonest if I said I wasn’t entertained wholly and continuously throughout. The foul-mouthed and fourth-wall-breaking anti-hero, Deadpool/Wade Wilson (Ryan Reynolds) is back, but not with revenge. 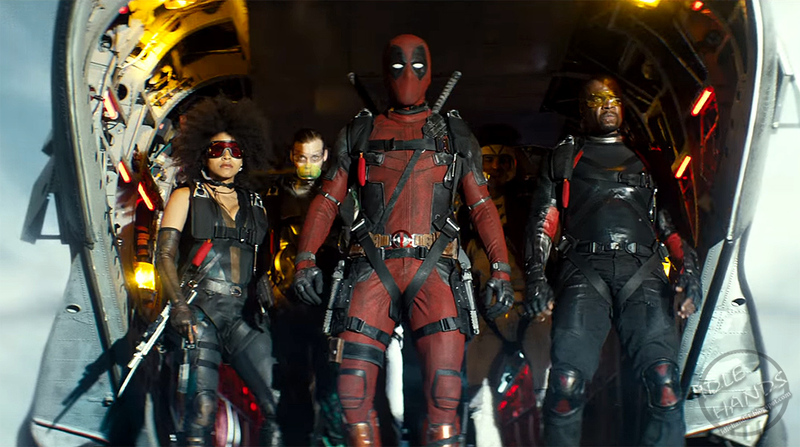 Familiar faces return with Dopinder (Karan Soni), Vanessa (Morena Baccarin), Colossus (Stefan Kapicic), Weasel (TJ Miller), Blind Al, (Leslie Uggams), and Negasonic Teenage Warhead (Brianna Hildebrand). He puts together a team to stop a time-traveling soldier, Cable (Josh Brolin), to protect an incredibly powerful teenager and equally foul-mouthed mutant (Julian Dennison). He lassos a few of his acquainted friends and a band of newcomers including fan favorite Domino (Zazie Betz) to help his cause. It’s no surprise that this franchise lives and dies by the hand of star/co-writer, Ryan Reynolds. He’s now about as synonymous with the Merc With a Mouth as Hugh Jackman is with Wolverine, and just like the Aussie, he is as near perfect as one could be. Writers Rhett Reese and Paul Wernick need to be recognized and accolated, of course, but Reynolds brings the character to life. Reynolds not only has the reigns of the humor and authenticity of it but also he and the film can depart to a pretty dramatic and effective tone when necessitated. If you had the exact same cast and crew, save a different actor for the title role, I wholly believe neither film would’ve had as much success as it did. Fox owes a debt to the actor more than they know. His dramatic beats may be a bit more frequent in the sequel, but almost always they’re efficient—and for damn sure his comedic beats are. The sequel brings a load of new characters to the mix, all of whom work. To highlight a few that are essential to the flick would be Cable and Domino. I was always on the fence about the two new additions to the already excess of characters, but they’re the real deal. Not only is Brolin’s character a valid threat, but his solemnity is such a contrast to Wilson’s demeanor you can’t help but chuckle. As for Domino, much of what I’ve seen on “film-twitter” is how much of a scene-stealer she is. Her power (luck) is surprisingly hilarious and oddly cinematic. Her character is a core team member with a good amount of screen time and at periods seems underused, presumably because we just enjoy so much of her. I just try to give my thoughts and therefore leave most plot points, jokes, and cameos out of my reviews, but I have to talk about the X-Force a tad. What seems like a crucial plot point becomes hilariously omitted in one of the funniest scenes I have ever seen in a film. That’s not an exaggeration; I literally can count on one hand the number of times I’ve laughed that hard in a theatre. The one major difference, and improvement, over the first film is the direction. Tim Miller, the director of the original was a very point and shoot filmmaker that hoped the jokes and choreography would be enough, which it obviously was, but adding a bit of style would (and did) help. 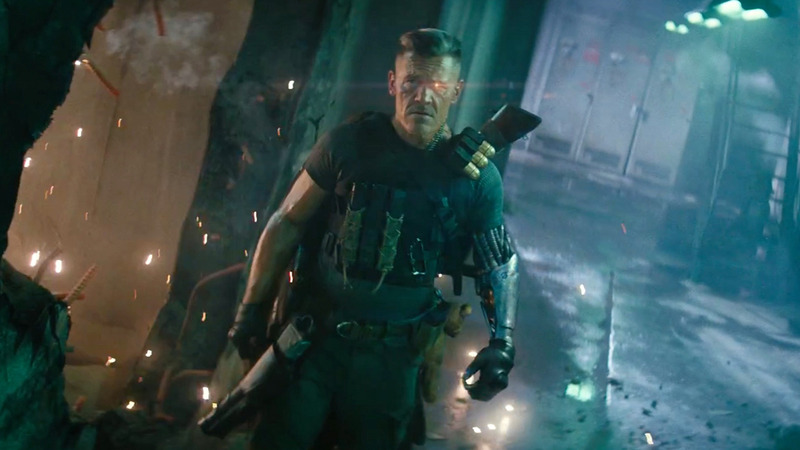 David Leitch (John Wick, which is hilariously mentioned in the opening credits) brought a subtle visual voice to the film that he already demonstrated with his last directorial effort, the underrated Atomic Blonde. Leitch made the action more amusing to watch and the violence more operative, not unanticipated seeing what his last two films were. The main difference between the two is the consistency of the jokes/action. The original was like an episode of Family Guy, an unyielding stream of jokes that doesn’t stop, but never really amps up past five. The sequel; slogs a bit and has passages that are completely void of humor, but when the jokes and action sequences emerge, holy hell are they effective. There’s something missing from the film that doesn’t allow me to fall head-over-heels for it, and I’m beyond frustrated to not be able to identify it. This movie is just as hilarious and heartfelt as I had hoped for. To hit someone’s expectations, especially mine, is a pretty difficult feat, and one that doesn’t happen often with sequels. Deadpool 2 didn’t blow away my expectations, but it met them, which is an achievement in of itself.